Come celebrate the black, the white and all the shades of grey in between. An open category for any subject, from computer animation, 3d rendering, painting, etc. Celebrating the beauty of the human body. Capturing the moments as they happened. Every submission into this category must feature spontaneous subject or event that did not undergo posing, instructions, interruptions or interference from the photographer or third party. All images must be gray scale or RGB mode without any colouring or toning. All images which are not strictly black and white will be disqualified on judging. US$5000 cash prize to be won! 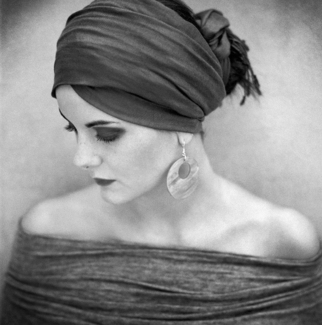 One grand winner will be chosen from amongst the category winners within the professional division, and will receive US$3000 (payable via Paypal), as well as the title of "2012 TZIPAC International Black and White Professional Photographer of the Year". One grand winner will be chosen from amongst the category winners within the non-professional division, and will receive US$2000 (payable via Paypal), and the title of "2012 TZIPAC International Black and White Non-Professional Photographer of the Year". Each category will have up to three winners, 1st Place, 2nd Place and 3rd Place, at the discretion of the judges. All 1st Place winners will be awarded a beautiful TZIPAC medal stored in a rosewood display case to commemorate their outstanding achievements. 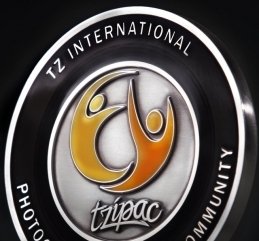 The prestigious TZIPAC medals are 3" silver plated brass medal, 5mm thick and weighs a substantial 200g. Under the lucious black transparent enamel border layer are engraved texts and detailings, while at the center is our embossed dual-colour-tinted TZIPAC logo. The judges will also select a limited number of Finalists alongside the major winners mentioned above. All Finalists, Category and Grand Award Winners will be proudly featured on our online winners gallery. Exciting New Feature: all Finalists, Category Winners, and Grand Award Winners will be able to showcase their winning images with our official TZIPAC E-badge. Sharing your winning images with the world and dressing-up your awards and accolades page is about to get easier and more spectacular. You will be able to proudly exhibit winning images with our official E-badge on your website, and wherever else you choose in a few quick steps - more details on how to do this and where to access the E-badge will be announced in an upcoming newsletter and via our website once The 2012 Zebra Awards results have been finalised. We want to help showcase your images with the world, and the E-badge that accompanies your images will forever be a testament of your achievements. In addition to exhibition in our online Winners Gallery, all winners will be featured in a special edition E-book which commemorates the remarkable images selected by the judges. With a superb layout and pages which you can flip through like a magazine on your coffee table, our E-book offers an engaging new way to alert others to your success at TZIPAC. Please CLICK HERE to browse through the first edition of our E-book which recognise the exquisite winning images from The 2011 Eros Awards - alternatively view the E-book in our website Latest News. For our 2011 Eros Awards Winners, you can share your achievement and the E-Book either via copy and past the URL link, or use the embed code provided. We are excited to announce the amazing line-up of judges for the inaugural running of The Zebra Award 2012. Our judges are all internationally celebrated artists, with a strong passion for black and white photography. This is evident, not just in their stunning artworks, but also in the great number of major and prestigious international accolades that our judges have received. We are very honoured to have such high calibre artists, coming together at TZIPAC, with all their diverse backgrounds and specialties, to celebrate the magic of black and white photography. 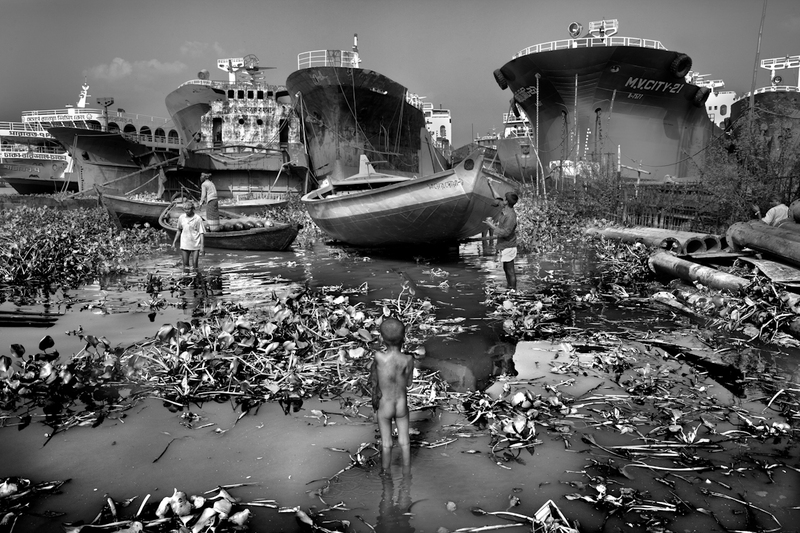 Dominic Rouse began a career in photojournalism at the age of 16 and has progressed through various stages into the world of fine art. He makes toned silver gelatin prints from digitally composed, large format negatives in short limited editions. His work has received international recognition and has been showcased in publications and exhibitions across the European community as well as in the Americas, Asia and Australia. The style of his imagery may appear to be rooted in the past but it relies heavily on a fusion of state-of-the-art digital technologies and traditional photographic processes to produce prints that have been described as "digital antiques". This achieves seamless transitions between the world of contemporary digital art and the timeless qualities of large-format black and white photography. The eminent British Journal of Photography described his prints as "masterpieces" when they were shown in London. America's Black White Magazine called him "a master of manipulation" and The Photo Review's editor lauded his work as "spectacular". Monika Brand is two-times winner of "1st Place - Outstanding Achievements" at the Spider Awards in both 2010 and 2011. This is no easy feat in such a prestigious competition. International award winning documentary photographer Larry Louie leads a dual career. In his optometry clinic, he is Dr. Larry Louie, working to enhance the vision of people from all walks of life in the urban core of a North American city. On his travels, he is a humanitarian documentary photographer, exploring the lives of remote indigenous people, and documenting social issues around the world. His work has been extensively published and exhibited around the world. Larry was recently the Runner Up for the International Black and White Photographer of the year at the 2012 Spider Awards. He was also the 2010 Travel Photographer of the Year, recipient of the Lucie Award in 2007 from the International Photography Awards, as well as winners of many other international awards and accolades.